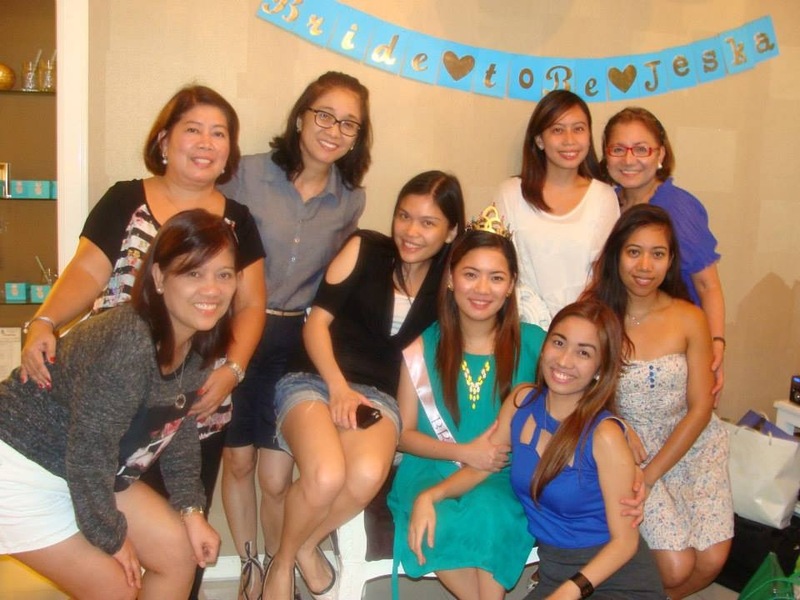 As the Maid of Honor, I was supposed to prepare a Bridal Shower for the Bride. The Bride, being my sister and all, I have no excitement – because we’re not really that close (keeping each other’s secret close) but anyway, I do know her. And she NEVER drinks. – Imagine that? How boring that life would be? if you don’t get wasted on some days. So naturally, what I wanted for her shower, was to drink the night away. 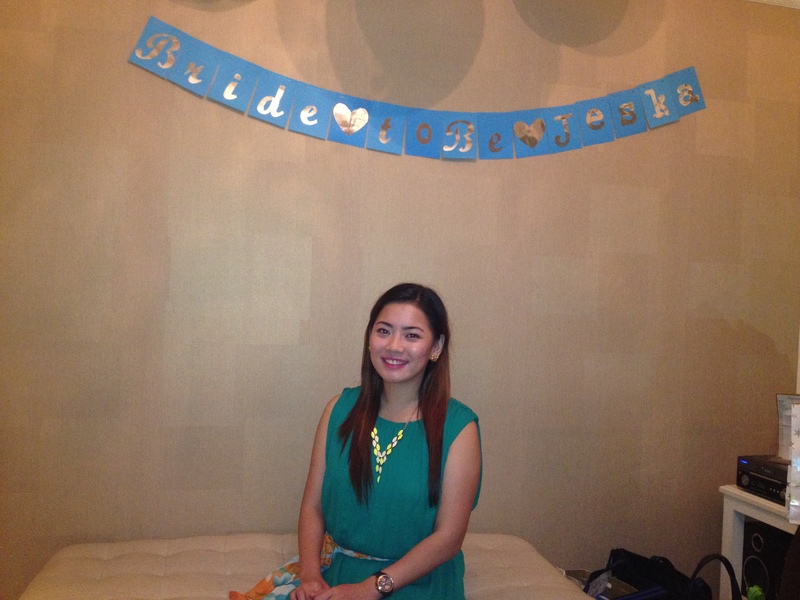 Unfortunately, the other Maid of Honor – my cousin had some other plans. Apparently, in US, Shower and Bachelorette is celebrated differently. But we have no time for separate parties. Instead, we had both in one day. We had a Spa Party instead. A full body massage with a foot spa complete with food and cupcakes. 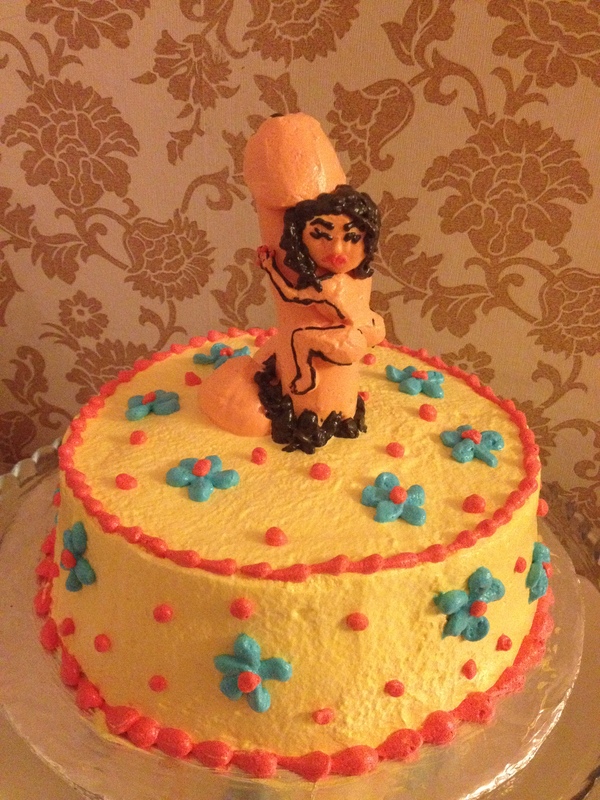 Ofcourse, a scandalous cake to complete it. 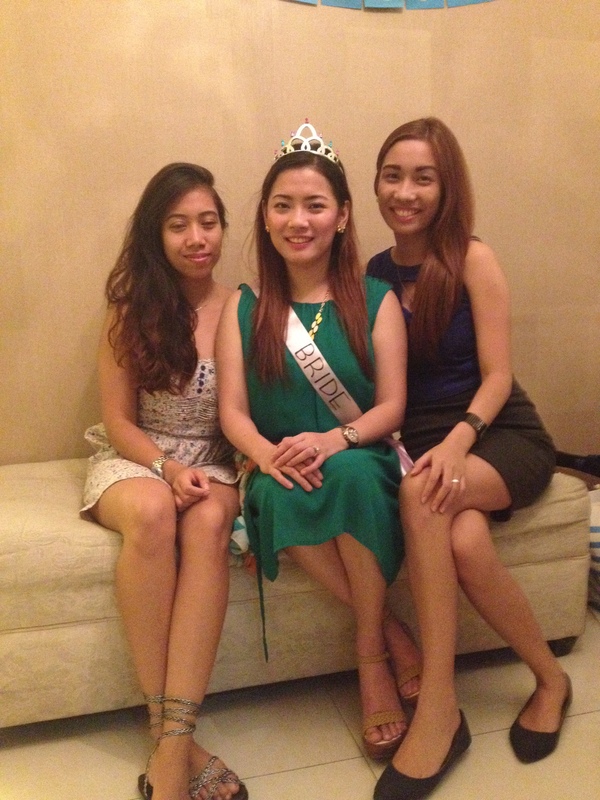 Bride and her Maid of Honors. And it would never be complete without a Male Performer, Right? Everyone in the group.